Last week I discussed a Taiwanese legacy tournament, some MtG drama, tournaments, and travel. This week won’t be as wide ranging. It will largely focus on the release of Guilds of Ravnica and my experiences with it so far. 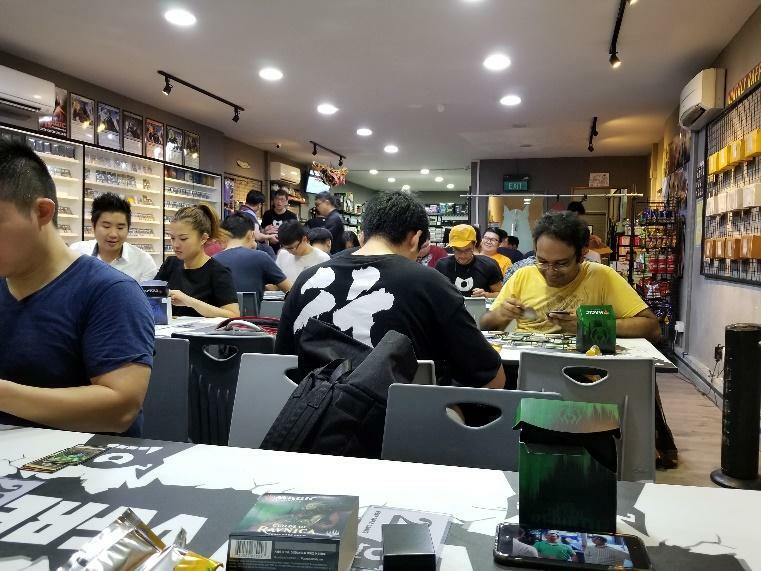 This includes being in Singapore for pre-release events and having some time playing events (both limited and constructed online). Travelling so much it is quite a beautiful thing having access to MTGO. I won’t speak much to the Arena release (cause I haven’t made time to reinstall it after the update, but I hear it is quite the value with Guilds of Ravnica. All the best for each of you that makes it through this article. I hope to join you for release events and the Heroes’ League event this weekend. I cannot wait to draft Izzet tempo after playing legacy this Friday night! As I was finishing up the trip in Taiwan I decided to go to Singapore to check out a business school that offers a PhD with research in a field close to my interest. A part of the trip was an extra day to play this newfangled set. I don’t set aside much time to play or learn about limited and didn’t make an exception here. There was no chance to read through the complete set spoiler or even read too many reviews on what guild pack to choose. I ended up with 1 Golgari and 2 Izzet packs over the 3 events that I played. Spoiler alert, I went 3-0 in the first event, 2-1 in the second, and 0-2 drop in the third. The first two pools were driven by very impactful commons and uncommons; this seems to be a theme for well-designed sets. My third pool had some effective bombs, but lack luster main deck components. This set smacks of all the wonderful elements of the original Ravnica that made it one of my personal favorites to play. There is a lot of play and synergy throughout each of the mechanics and plenty of support internal to the guilds Building 2 or 3 colored decks wasn’t an issue and I felt like many of the time top decks were the difference between winning and losing. It was incredibly exciting to be playing the set. I look forward to more limited events with this set, which is somewhat extraordinary given the other sets that we have had for the past few years. In my very first online sealed event I opened a foil Assassin’s Trophy, so that was fun. I ended up picking up the other few shortly after for tix. I feel the price on it had settled to a reasonable level around $13 (when I picked it up). Paper prices are also following suit. I believe that it will likely end up around $12-15 in paper. 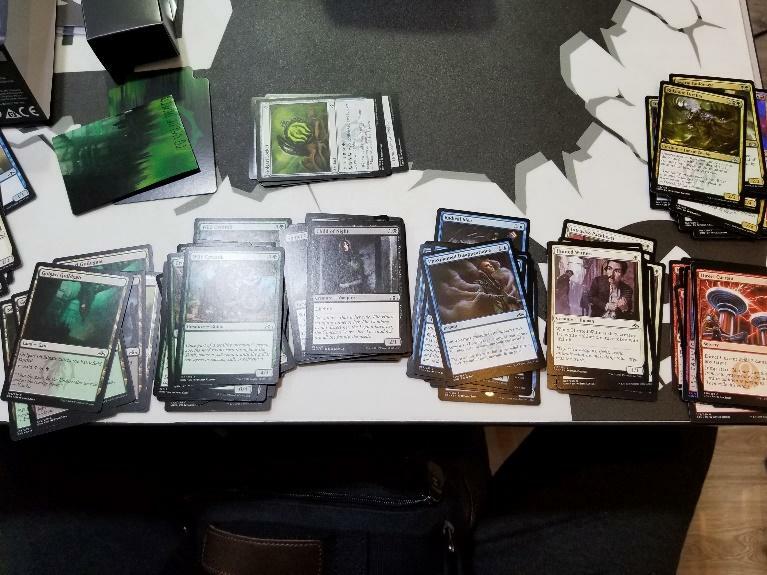 I am happy to see that in general the value of the set is preserved with a good rare slot value and some fun mythics and planeswalkers. We have yet to see the final set EV, but I couldn’t be happier with that I have seen so far. So far it seems that things have played out as expected for local game stores, nearly full events with full preorders for boxes and a generally high release. We may not see the backlash that was expected with this being available through online retailers due to the hype, but I would expect the cracks in the local gaming experience to show over the next 6 months. Throughout the US we will see several shops closed and consolidation of play space to larger regional hubs. This may mean that better run shops win out, but in some cases, it will just be deep pockets and love of hobby. For the average player it means to communicate with your LGS what you love about it, what needs to be changed, and what you will buy. The smart ones will listen and provide it, use your dollars in support of the spaces you love. To prepare for Eternal Weekend and the brave new world of legacy post Guilds of Ravnica I have been building Food chain lists with the trophy. There are a few other interesting cards that have been suggested, but I haven’t played with any of them (Dream Eater). Surveil 4 is big game but dying to bolt is not spicy. Let me prepare you for the coming list. There are 3 living wish, a spell seeker, 4 shardless agent, and no main deck finishers. That means that the game plan should things go sideways is significantly improved. There are much fewer dead draws in multiples or without the rest of the combo and access to a far wider field of threats and answers out of the board. This also means that the side board has fewer slots to devote to difficult matchups. There are significantly less graveyard hate options so the main deck Relic of Progenitus remains, though it suffers some due to lack of Trinket Mage as a tutor. The assassin’s trophy has been mediocre so far, but with a relative lack of testing I can’t see one way or the other how I feel. Every time I have had the choice between it and abrupt decay I tend to use it. It has been key dealing with problem permanents including: The Tabernacle at Penderel Vale, Liliana of the Veil, JtMS, and Reality Smasher. Generally, I feel that there is a ways to go in understanding the current meta. Food Chain is very well situated against much of the field (Miracles, Grixis Control, DnT, Lands…) but as things change still suffers against its old enemies (Omni-tell, Elves, Storm) and the relatively even matchups have not improved (Grixis Delver, UB Death’s Shadow, Eldrazi, Burn). We will see what becomes of my testing over the next few weeks, but expect me to be playing a variation on this list going into EW. I will certainly be revisiting Walking Ballista (potentially in a living wish build similar to this). I will also report back on how effective Spell Seeker ends up being. There are plenty of slots that are still up in the air, but Massacre Wurm off Living Wish has been big game. I think that it is one of my favorite plays with this deck. I am excited to see what this next month of testing will bring me.